Feast or famine, or rather famine or feast – recently Noam and I were lamenting the fact that I had no decent analogue source. Then all of a sudden two turntables appeared on the horizon steaming straight for me. The Funk Firm (link) from the UK is one of those small British manufacturers that brings to mind men in flat caps, riding bicycles to work in the rain and stopping for a pint of warm brown ale on the way home to eggs, chips and beans for “tea”. A post-WWII austerity image that is no doubt wildly inaccurate today. Funk Firm, which appears to be the phoenix from the ashes of long-gone turntable manufacturer Pink Triangle, has some “out there” designs. The Flamenca is one notch up from their entry level ‘table, with some funky (sorry, couldn’t resist) arm “pivots” that actually use thread! More the thinking of English eccentrics than traditionalists, it would appear. I can’t wait to see it and take it for a spin. Pro-ject Audio is an Austrian/Czech company that produces more than 150,000 turntables a year(!). This analogue juggernaut, and I mean that in a good way, is another phoenix story. From a factory that was near death behind the former Iron Curtain, has risen a modern manufacturing facility. 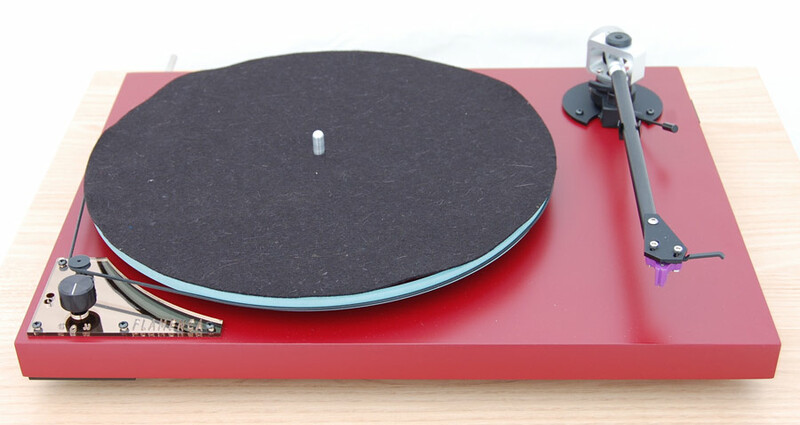 Pro-ject produces turntables costing anywhere from the low hundreds of dollars, to models well north of ten thousand dollars. Importation of The Classic SB SuperPack had not been planned in Canada, but a little cajoling and gentle bullying, through dealer Being There Audio, has convinced the Canadian distributor to bring at least one in. The Classic SB SuperPack is a step up from the standard The Classic. The “SB” has an electronic motor controller enabling speed changes between 331/3 and 45 RPM at the touch of a button. 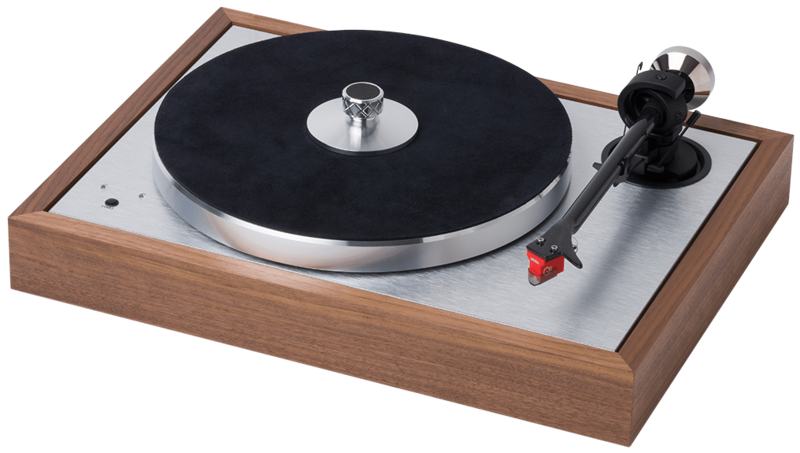 The standard The Classic is supplied with an Ortofon 2M Silver moving magnet cartridge. The Euro spec The Classic SB that I’m getting comes fitted with an Ortofon Quintet Red low-output moving coil cartridge, and few other nice accessories. As of now I’m not sure yet what cartridge the Funk Firm Flamenca will have. The is but one potential glitch, he said hopefully, in all of this. I don’t expect to have the two turntables simultaneously. But I have a cunning plan. I’m going to do some digital recording from both setups, using my Schiit JIL analogue to digital converter, running at 24 bits, 192 kHz. I’ve purchased the 2-LP, 45 RPM remaster of Kind of Blue, and that will hopefully put both ‘tables to the test. Of course, I’ll spin some of my old and at times battered vinyl as well. I can hardly wait to get started. Both turntables retail for around the 2,000 dollar mark in Canada.